To showcase an attention to three distinct areas of detail: top-notch imaging, integrated Beats audio and industrial design; HTC announced ‘One’ brand for all of their Android phones. It’s like Samsung galaxy series I think. And HTC are kind enough to officially announce their MWC line-up of Android smartphones. There are four in the queue- HTC One X and One XL, the mid-range One S, and the starter One V. I will only cover HTC One X in this post. 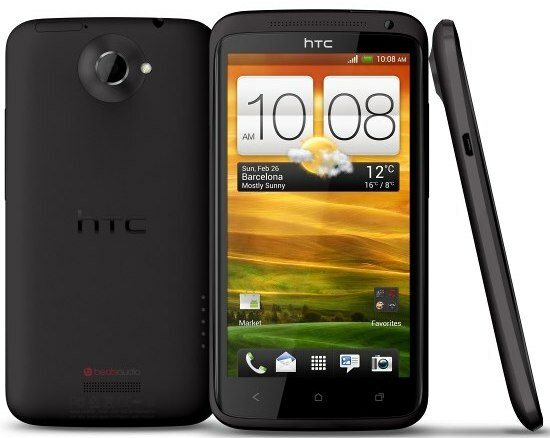 To know more about HTC One XL, HTC One S and HTC One V click the corresponding link. The HTC One X is a unibody device machined from white polycarbonate that uses Gorilla Glass to protect its 4.7-inch 1280x720 non-pentile Super LCD 2 display. Stunning outside appearances aside, HTC's newest features an NVIDIA Tegra 3 quad-core processor for the Global edition and a Qualcomm Snapdragon S4 dual-core for the LTE iteration. The One X is the most powerful Android smartphone HTC have built to date. It's quite slim, too, measuring only 9,29mm. Memory specs on the box show 1GB DDR2 and 32GB of built-in storage, 26GB of which is available to the user and an additional 25GB free for two years through DropBox. At the back, the One X sports an 8MP snapper, which packs a special Dual Shutter camera module, which allows you to take photos while shooting 1080p video at the same time. The main camera itself rocks a 22mm wide angle lens. At the heart of its 8MP f/2.0 camera section is HTC's ImageChip silicon for clearer shots even in low light conditions. Connectivity options abound with quad-band GSM and quad-band 42Mbps HSPA+ - which includes AWS frequencies. NFC, DLNA, Bluetooth 3, Wi-Fi N, 3.5mm headphone jack and microUSB with MHL are on board, too. One X also got Beats Audio enhancement, so music through that 3.5mm jack should sound extra nice. If you are a US citizen then you are going to have only one network choice, AT&T with One X. HTC One X will globally available in April. Expected contract price in US for HTC One X is $299.99 and globally it will be around $800 unlocked. In the meantime Clove UK is already offering HTC One X unlocked on pre-order. You can book your first quad-core mobile phone for £492 ($781) now. The expected shipping date is April 5.